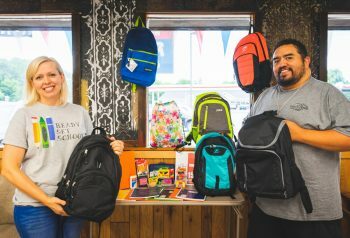 Big thanks to Cars-N-Credit (Winona, MN) for their annual Backpack Drive through the month of August! All donations to Ready Set School are distributed to local k-12 students in need of school supplies. Pictured (L-R) Jessi Darst, Ready Set School Director and Dandi Escobar, Cars-N-Credit Manager.